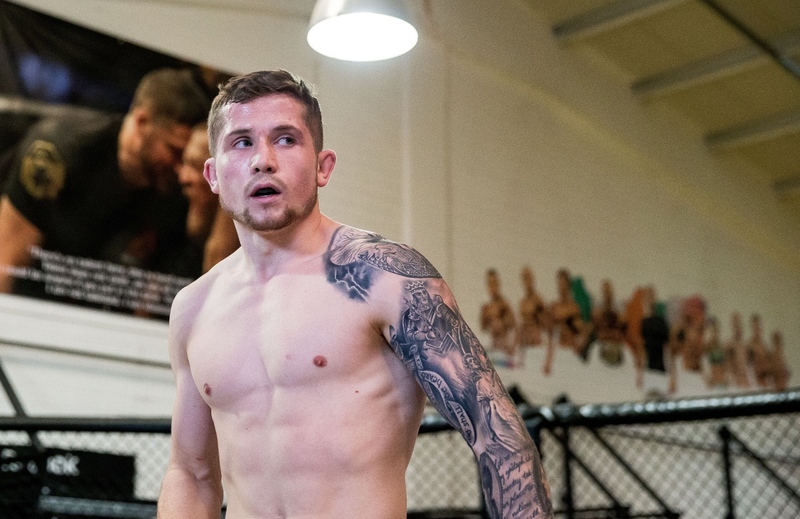 In this, the seventh edition of Exploring Irish MMA, we speak to SBG Ireland featherweight Brian ‘The Pikeman’ Moore as he prepares for perhaps the biggest fight of his career to date. 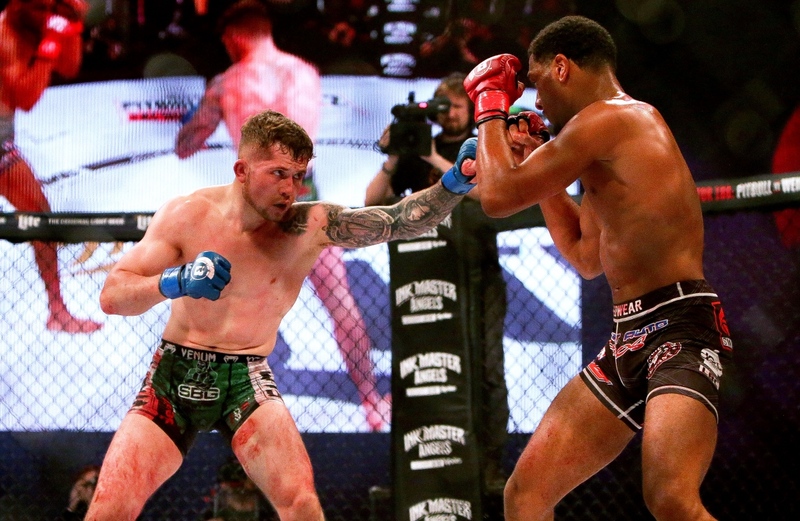 Moore’s only setbacks since signing for Bellator two years ago have come against the former two-time Bellator title-challenger Daniel Weichel and one of the brightest 145lb up-and-comers in the world in the 12-0 AJ McKee. Both fighters are right up in that upper-echelon within the division and both bouts were ones taken by Moore on short-notice. But with a showdown against the former UFC veteran Noad Lahat in front of him this weekend, it seems as though the pieces are finally falling into place to allow him to perform to his very best – something that was evidenced by his first-round stoppage of Giorgio Belsanti at Bellator 196 last time around. Most people who follow the sport aren’t aware of the balancing act that comes with attempting to get a career in fighting off the ground. Life outside of the cage is just as important as life inside it and of course, both require time and an ample share of your attention. 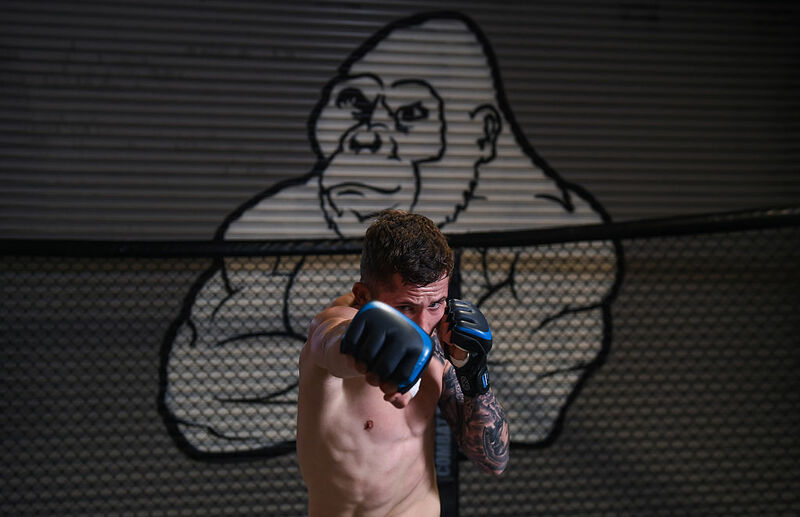 Speaking to us here at Pundit Arena MMA, ‘The Pikeman’ explained how the freedom to embark on full-time fight-camps has allowed him to put much more of himself into his preparation recently. “The training over the course of the last few months has been ideal. I’ve been delighted with it. “It’s the second time that I’ve been able to train full-time. My last camp was my first full-time camp and it has shown. It’s the most-prepared and the best I’ve looked. If one thing is for certain according to Moore, it’s that the freedom that comes with being able to pursue his craft in a full-time capacity, like for the build-up to his prior bout with Belsanti, will show in the performance he turns in when the time comes later this week. “I really think this performance in a few days will show that. I think people will take notice of all of the hard work I’ve been putting in – all the sacrifice and dedication. I’m looking forward to it. This is the most confident, the most well-prepared I’ve ever been so I can’t wait. “I’m not sure if I’m in my prime or not, but the way I’ve been able to structure my camps – even the aspects of recovery. Recovery was not a facet of my previous camps because I didn’t have time for it. “It’s not that I feel like I’m coming into my prime, but I’m the most complete athlete I’ve ever been because I’ve been able to put so much more focus on my fight-career. The Pitbull brothers, the current featherweight champ Patricio Freire and the former lightweight champion Patricky Freire have been linked to potentially facing off against the SBG Ireland guys in a gym-versus-gym fight-card – an idea that even Patricio himself seemed open to. Moore, who actually voiced the idea earlier this year, has his eyes on Freire and his 145lb belt no matter what, but still maintains that the idea of at least a main-card comprised of his teammates against those of Pitbull’s is very much on his mind. “I have zero beef with any fighter in the world except for Pitbull – he’s always been running his mouth. We’ll cross paths someday and this is my biggest step towards that fight. When Moore took on the highly-rated AJ McKee at Bellator Dublin in November of last year, it really isn’t too much of a stretch to give him the first two rounds. Fighting in front of a crowd of his countrymen, he pressured the rising star relentlessly. From the outside looking in, we were treated to a close fight where both men were able to have their moments but like most things we view from afar, there’s absolutely no way for us to understand the ins and outs – and in this case – exactly how tough a time it was for Brian during the days and week surrounding the event itself. “Absolutely. I took that fight on short-notice and to be fair, he took that fight on short-notice too. “But that was a dreadful camp for me. I didn’t want to mention this because I don’t want to take a win away from him but AJ has been talking. “My wife was extremely sick during that camp. So basically from travelling up-and-down to Dublin looking after her while she was bedbound and I didn’t put in a good camp. 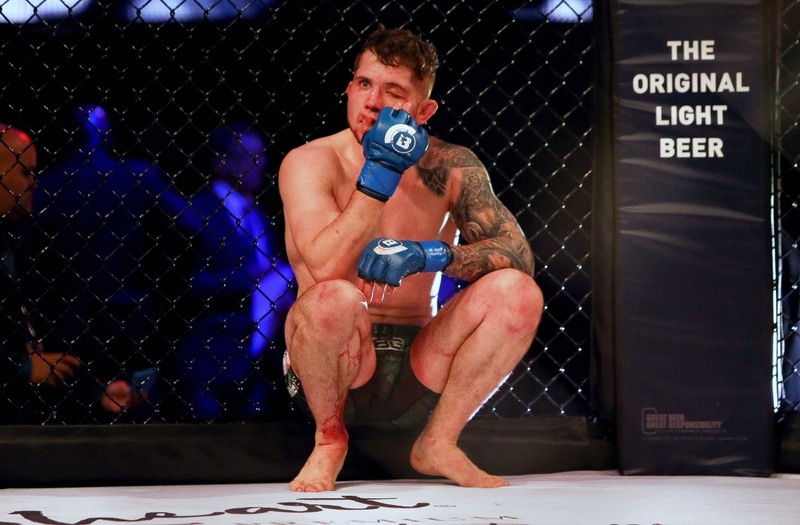 The third-round submission that McKee was able to earn was one that came from his ability to capitalise on the slightest of openings afforded to him by ‘The Pikeman’. There’s no doubt that AJ is a fighter of a high enough level that he can capitalise on such moments but according to Moore, a rematch would play out quite differently. “I slipped in the last round and he took my back – he did great – I’m not taking anything away from him. I didn’t think he’d be able to get the choke but he got it. “I think with a better camp I’d put AJ away, I think I’d finish him, to be honest. I think our paths will cross someday again. 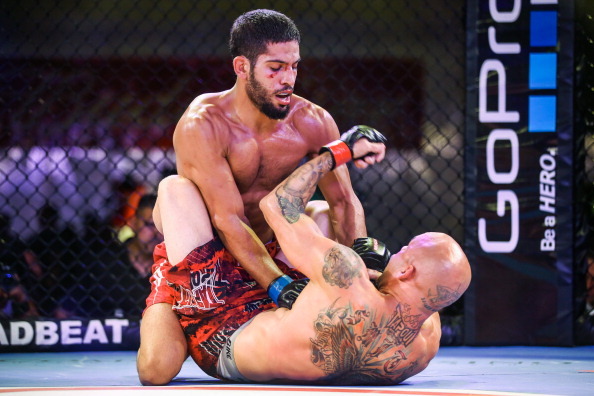 His opponent Noad Lahat is a tried and tested veteran of the sport – going 2-2 in the UFC and 3-2 in Bellator. Last time out, he suffered a second-round stoppage loss to Bellator bantamweight champion Darrion Caldwell – who was testing the 145lb waters on a brief hiatus from the division he rules. “Lahat, from a skill perspective, is very good. He’s well-rounded but he tends to be stronger in the grappling department – not saying that his stand-up is poor, his stand-up is decent. “I just think that I have a much bigger hunger. I’m coming off a win and I’m on a high. He’s coming off of a devastating loss, I think that his chin got rattled and it will be rattled again in a few days time. 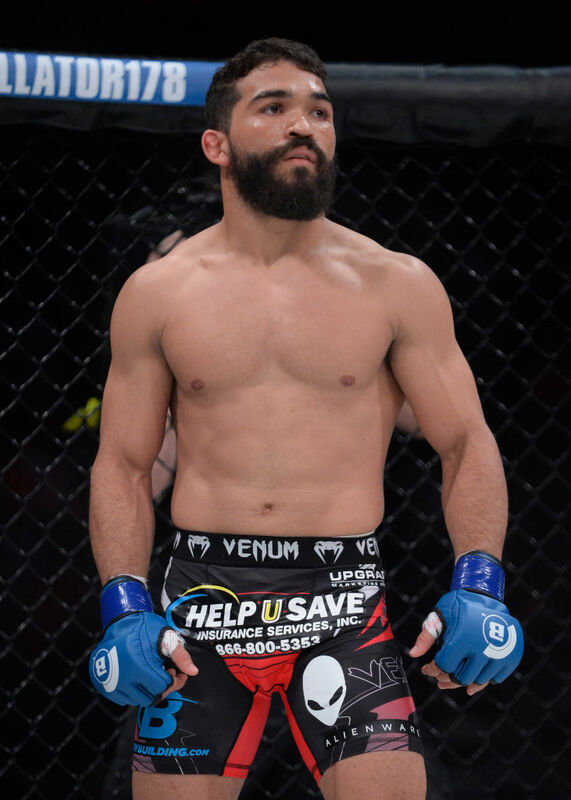 ‘The Pikeman’ will return to the cage with a full camp behind him this weekend at Bellator 210 on Friday, November 30 in a fight that will give us the perfect indication of where he stands within the divisional title-picture. From the sounds of things, though, the confidence brought about by solid momentum and extensive preparation will ensure that Noad Lahat steps in there against the very best Brian Moore possible when the time comes.